Describing itself as a lover of “feel good music” Social Networkk is comprised of four very different guys with one very similar goal – to produce some of the best hand-slappin’, hair-whippin’ pop music of its generation. And it’s fitting the quartet used the technological methods of their generation to find each other. Ruba Wilson, Max Ehrich, Cy Jones and Jobob Taeleifi may be a boy band but they didn’t come together in some micromanaging producer’s office, rather they searched for their sound and each other using social media sites (hence the name). And Social Networkk was born. After long periods of communication online, the boys met for the first time in the studio this year to record their first single, a remake of the Milli Vanilli monster hit, “Girl You Know It’s True”. The band chose the song because they insist it has the “feel good” groove that exemplifies where the band currently stands in its short life… and because Ruba looks like he jumped right off the Milli Vanilla CD cover. Timing played a major role in the genesis of Social Networkk. Boy bands are making a comeback with the likes of The Wanted and One Direction. As more and more bands step up to grab a piece of the pie, originality and innovation become increasingly important. Social Networkk says it will introduce both. With one single down, the band hints at recording its first album and organizing a tour to go along with it. And you better believe you’ll hear all about it on your twitter, facebook, instagram, and other social media pages! 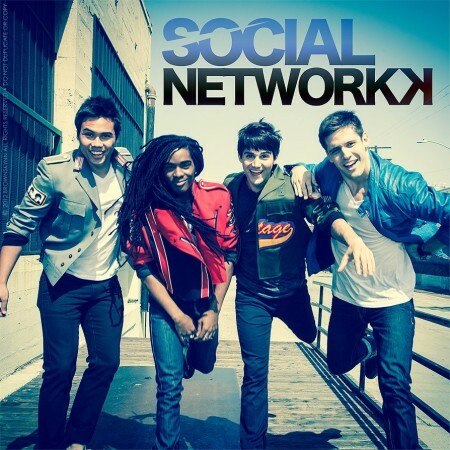 Take a peak below at the video for Social Networkk’s single, “It’s True”. What do you think? Leave us some comments!